Join ESA! Right Coast – Right Now! 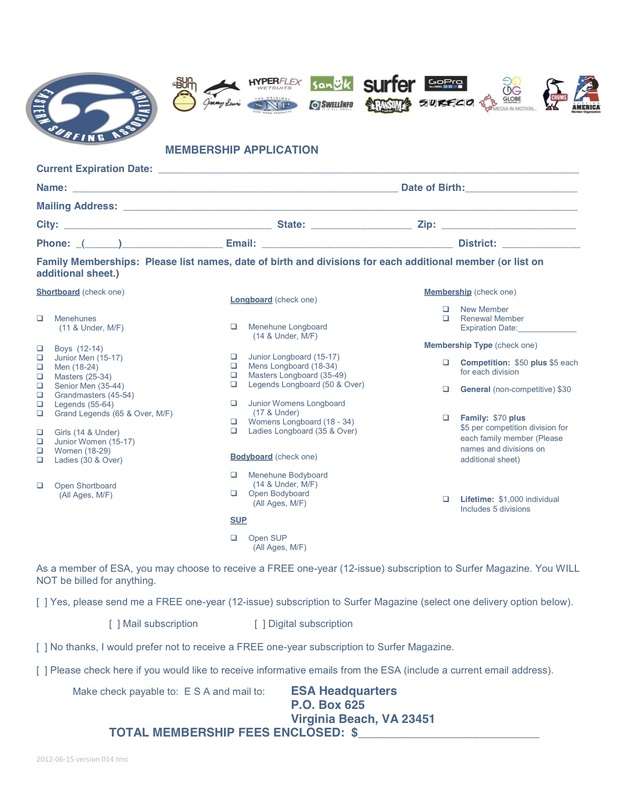 New Membership Forms are here! – Competition: Local, Scholastic, Regional and The Easterns® Competition opportunities. 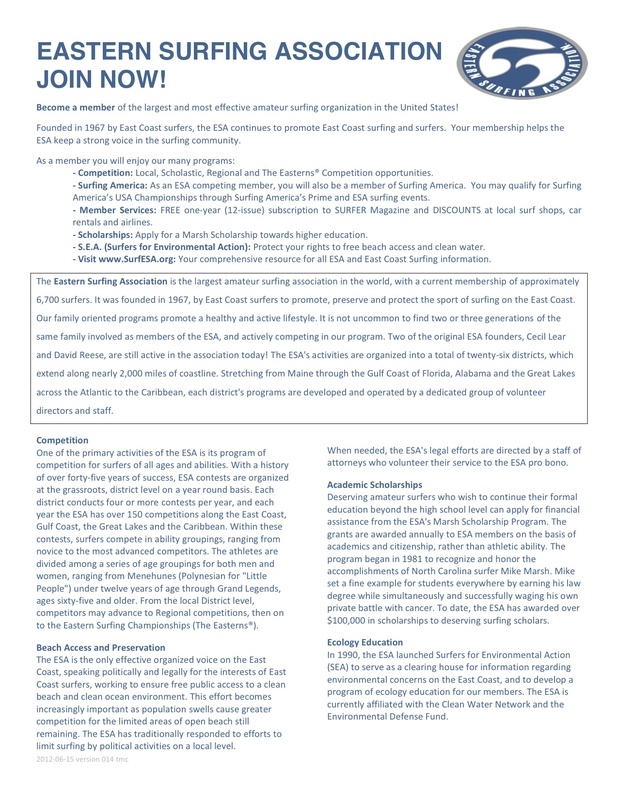 – Surfing America: As an ESA competing member, you will also be a member of Surfing America. You may qualify for Surfing America’s USA Championships through Surfing America’s Prime and ESA surfing events. – Member Services: FREE one-year (12-issue) subscription to SURFER Magazine and DISCOUNTS at local surf shops, car rentals and airlines. – Scholarships: Apply for a Marsh Scholarship towards higher education. – S.E.A. (Surfers for Environmental Action): Protect your rights to free beach access and clean water. – Visit http://www.SurfESA.org: Your comprehensive resource for all ESA and East Coast Surfing information. 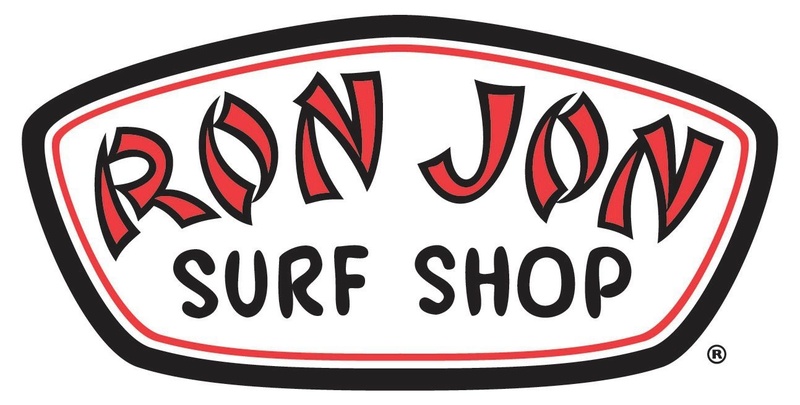 Central Florida ESA is proud to have Ron Jon Surf Shop as a local Sponsor! Thanks for all you do, Ron Jon! « ESA – your path to Easterns and to the USA Championships!